Scanning forests with LiDAR is done to predict timber yield, estimate biomass, and monitor ecosystems. A detailed Digital Terrain Model (DTM) is needed to accurately compute forestry metrics such as tree height. For generating a DTM it is important to have enough “ground returns” that measure the elevation of the bare-earth for which the laser pulse needs to penetrate through the vegetation down to the forest floor and reflect back to the plane. This can be difficult in a dense tropical forest with tall trees and many layers of canopy as the light of the laser pulse has many opportunities to be reflected or absorbed before reaching the ground. Often none of the light energy will reach the forest floor or the returning ground echo will be too weak to be registered back at the plane. 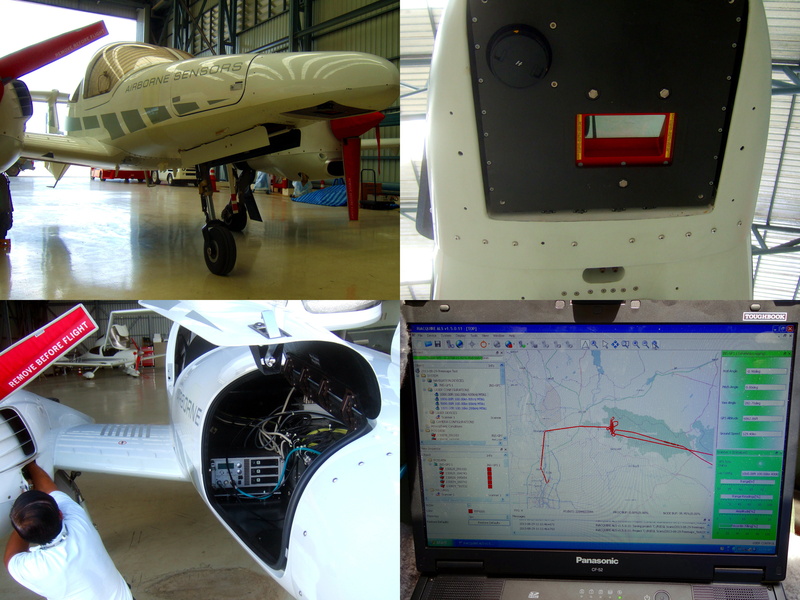 The “airborne sensors” aircraft of Asian Aerospace Services is equipped with a RIEGL Q680i airborne LiDAR scanner. 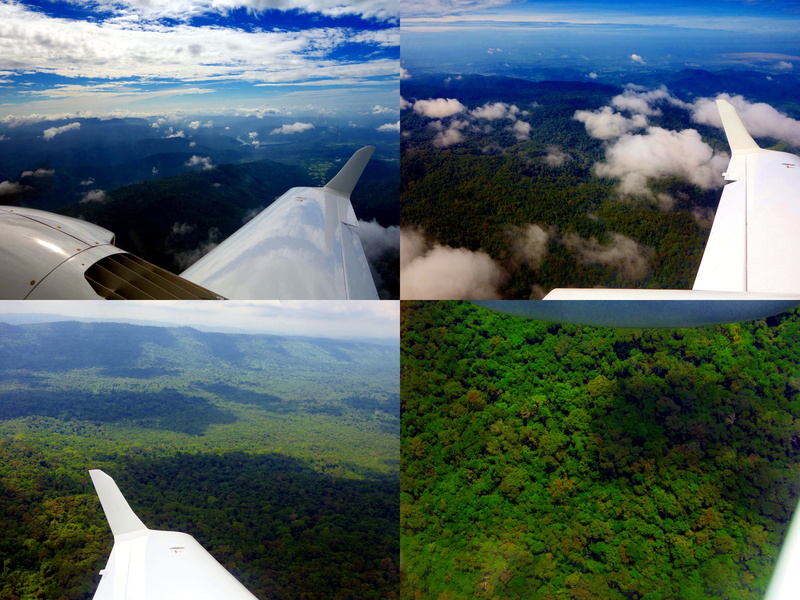 Asian Aerospace Services Ltd. and rapidlasso GmbH flew a RIEGL LMS Q680i LiDAR system out of a Diamond DA42 “Airborne Sensors” aircraft above dense tropical rainforest in Thailand. We did a short test flight to determine whether the LiDAR would be able to penetrate the canopy of Khao Yai National Forest. The original objective was to demonstrate that the scanner is able to “see through” the canopy in order to produce data for the TREEMAPS project of WWF Thailand funded with EUR 1,730,205 through the International Climate Initiative of the German government. 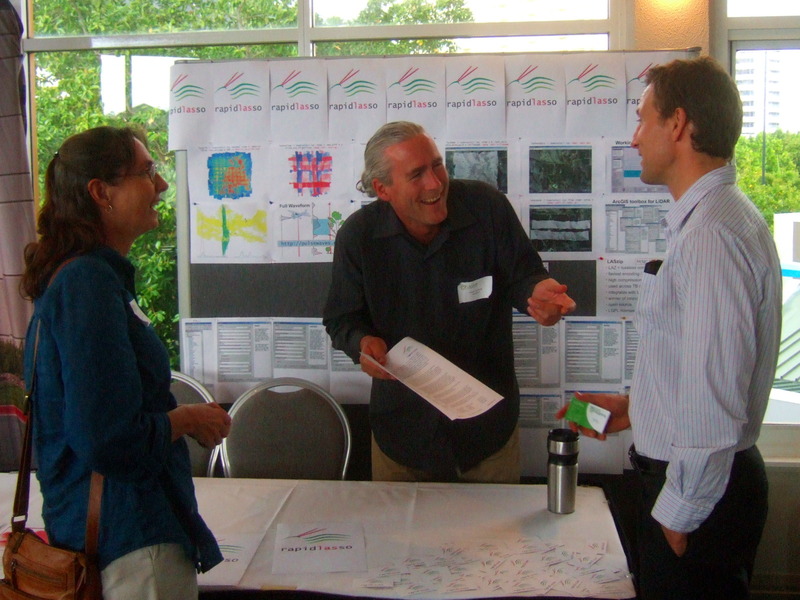 Unfortunately Germany had to pull the funding for TREEMAPS after political tinkering started to interfere with technical objectives, and the LiDAR produced by our “pro-bono flight” has become the only tangible outcome produced by TREEMAPS. We are now making this data available under a Creative Commons Public Domain license (for download see below). Above Khao Yao National Forest during a test scan to investigate the canopy penetration of the RIEGL Q680i LiDAR scanner. Low clouds disrupted our original plans but we had one cloud-free stretch during a ferry flight between target locations. We were scanning for 90 seconds at 1200 meters above ground with a speed of 220 km/h. The Q680i was set to operate at a laser pulse rate of 80 kHz with the polygon mirror rotating 10 times per second. The effective scan rate was 240 / 360 * 80,000 = 53,333 shots per second, as each of the 4 mirror facets covers 60 degrees – summing up to 240 degrees – and there are no laser shots leaving the aircraft for the remaining 120 degrees of between facets. The 53,333 shots per second are reflected over the length of 10 * 4 = 40 mirror facets so that a single scan line contains a sequence of 53,333 / 40 = 1333 shots spaced about 12.4 microseconds apart. After each scan line comes a short pause of 8.3 milliseconds during which the mirror rotates 30 degrees to the next facet. Flying at 220 km/h and 1200 meters above ground means that each second we scanned 62 meters of a 1430 meters wide swath. This resulted in a pulse spacing of 62 / 40 = 1.55 meters between subsequent scan lines and a pulse spacing of 1430 / 1333 = 1.07 meters along each scan line. The 90 second scan resulted in a strip length of about 5.5 km. The PulseWaves export options available in RIEGL’s RiPROCESS. For each shot the outgoing as well as the returning waveform are digitized and stored to RIEGL’s proprietary SDF format. We used RIEGL’s RiPROCESS software (version 1.5.8) to export the 4,770,152 shots as full waveform LiDAR to PulseWaves and to extract a total of 7,956,587 returns as LASzip-compressed discrete LiDAR to the LAZ format. The DSM, DTM, and CHM of the 5.5 km long strip scanned above Khao Yai National Forest. The Q680i produced sufficiently many ground returns to compute a “plausible” DTM (using lasground and las2dem of LAStools) despite the dense 45 meter tropical canopy during leaf-on season and high humidity. Typical terrain features such as streams and slopes are clearly visible in the hillshading. The corresponding Canopy Height Model (CHM) uses a false coloring that maps vegetation heights of 0 meters to blue and heights of 45 meters to red. There is less vegetation (darker blue) in areas that appear to be in the steeper parts of the DTM. Only 5 % of pulses emitted produced a discrete return on the ground … this is rather low. It means that the generated DTM will be of much coarser resolution than the number of pulses shot per square meter would typically suggest. Of the 250,473 points classified as ground only 30,931 are single returns where the laser had an unobstructed view of the bare earth. More than half of the ground returns come from laser shots that had already produced two or more vegetation returns and 7,665 of them had their light energy weakened by grazing four or more layers before hitting the forest floor. 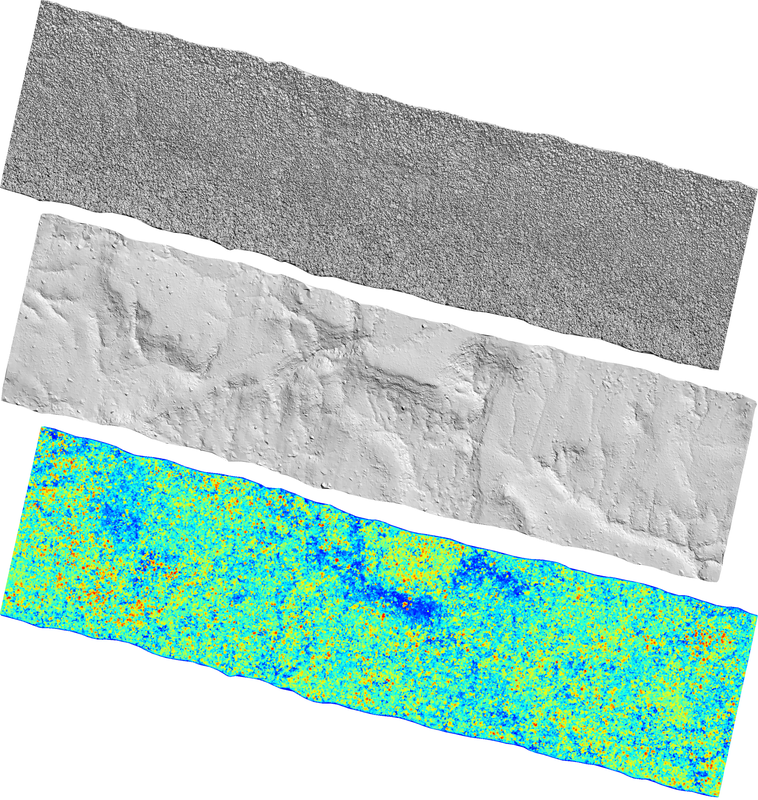 Scrutinizing the full waveform LiDAR might lead to more ground information to improve the accuracy of the DTM. 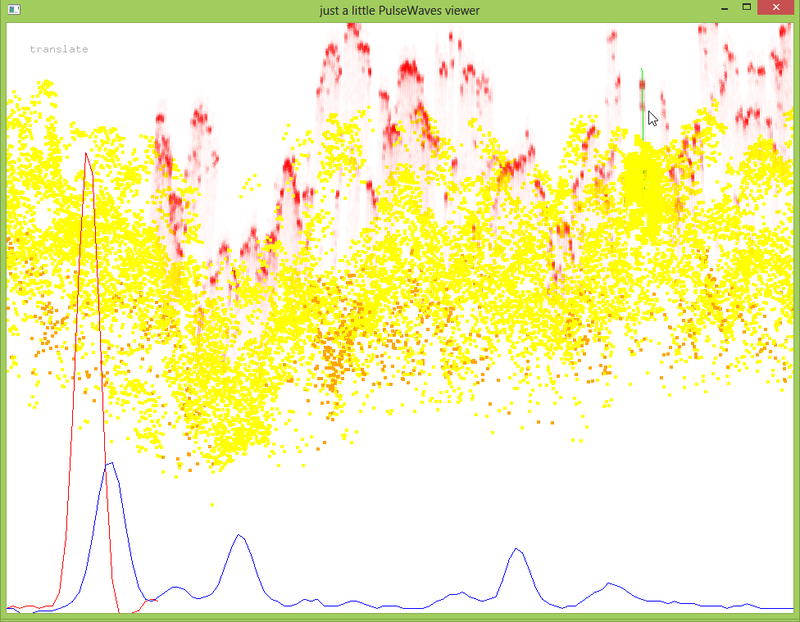 Full Waveform LiDAR from Khao Yai National forest. 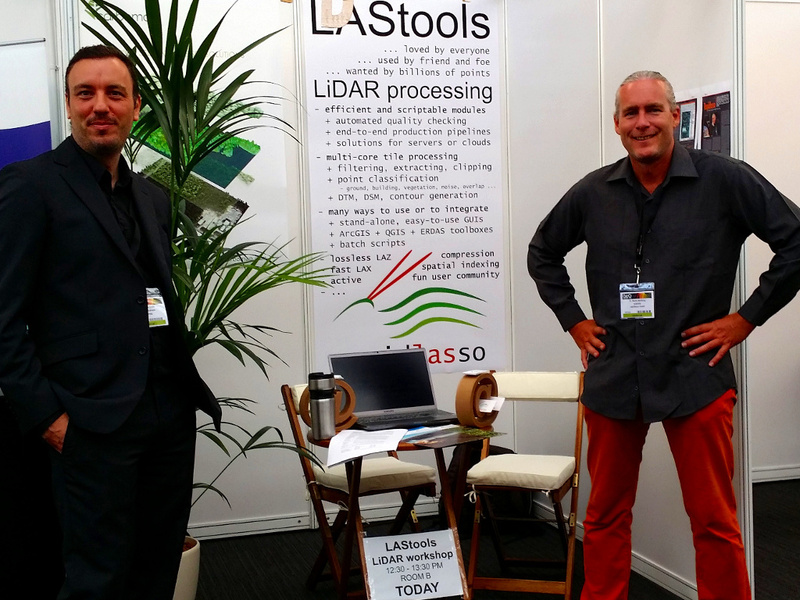 Eric van Rees, the editor of the Geoinformatics magazine, met with rapidlasso GmbH at INTERGEO 2013 in Essen to have a quick chat about LAStools, LASzip, and PulseWaves as well as our LiDAR processing toolboxes for ArcGIS and QGIS. In the three-page article we talk about the beginnings of rapidlasso’s software, about when and how the company got started, about our various open and closed source products, and about current projects. The interview was published in the most recent October/November edition of the Geoinformatics magazine that was distributed in print at the SPARELMF 2013 conference in Amsterdam this week. If you did not get a copy you can read the online version of the magazine here. Just in time for the RIEGL LiDAR 2013 user conference, technology start-up rapidlasso GmbH has released an open data exchange format called “PulseWaves” for storing full waveform LiDAR data. The new format has been in development since December 2011 through transparent discussions at http://pulsewaves.org that involved many stake holders. The result is a specification simple to implement, yet versatile enough to store many different waveform flavors. PulseWaves standardizes storage and delivery for applications that benefit from information about the waveform such as forest management, biomass estimation, and LiDAR bathymetry. It complements the ASPRS LAS format for discrete returns and radically simplifies the exchange of full outgoing and returning waveforms. The initial PulseWaves release comes with an open source reference implementation (LGPL) and a set of basic processing tools to display and convert the data. 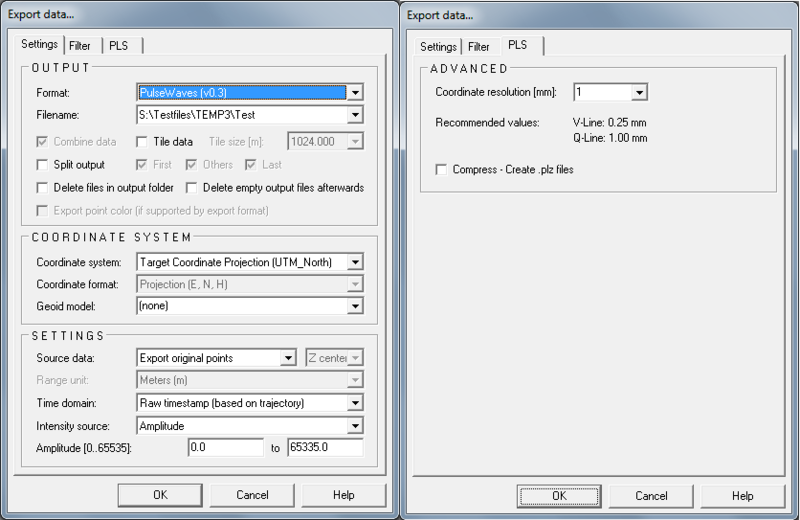 A compressed version of the PulseWaves format based on LASzip technology is in progress. With their latest release of their RiPROCESS software, RIEGL GmbH has become the first hardware vendor to allow exporting full waveform LiDAR data to the PulseWaves format. The development effort was in parts supported by RIEGL GmbH and by Airborne Research Australia (ARA) at Flinders University in Adelaide. 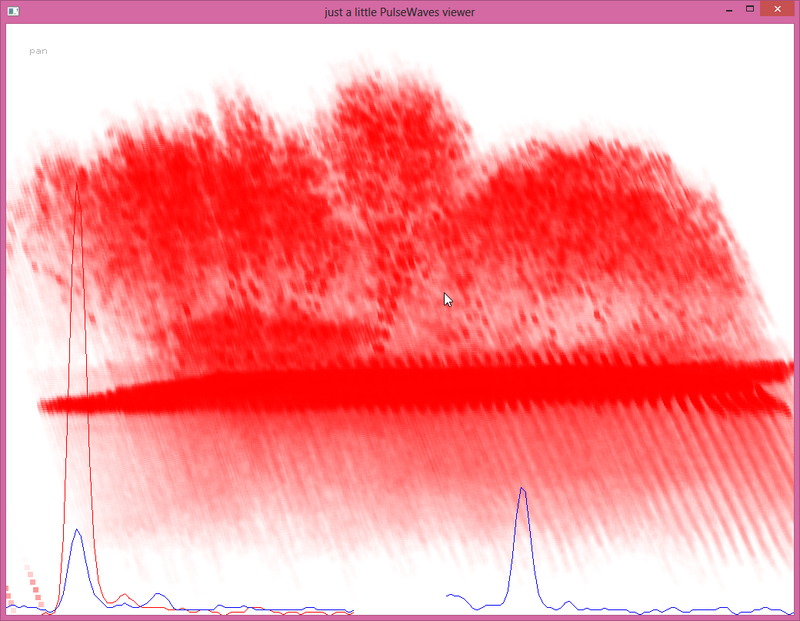 An illustrative visualization of full waveform data as rendered by the latest version of pulseview.exe.